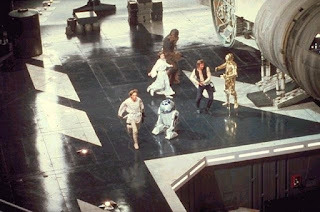 STAR WARS AFICIONADO WEBSITE: 'STAR WARS' AT 40: "BEN?" 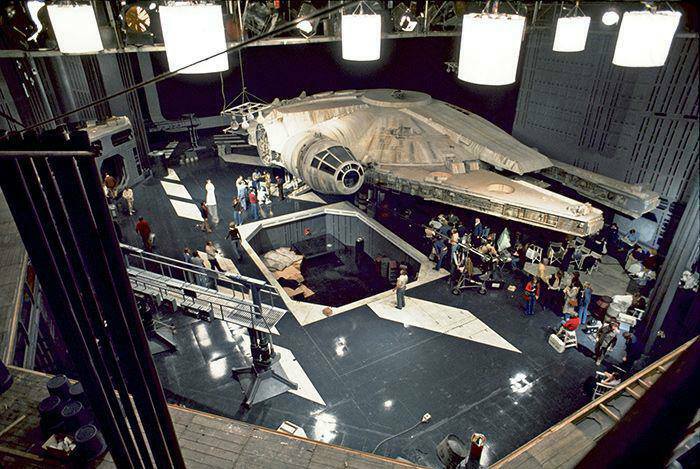 A terrific image (presumably by John Jay), up in the studio rafters that day (June 1st, 1976) taking behind the scenes and exciting shots for publicity. 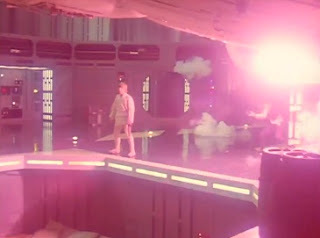 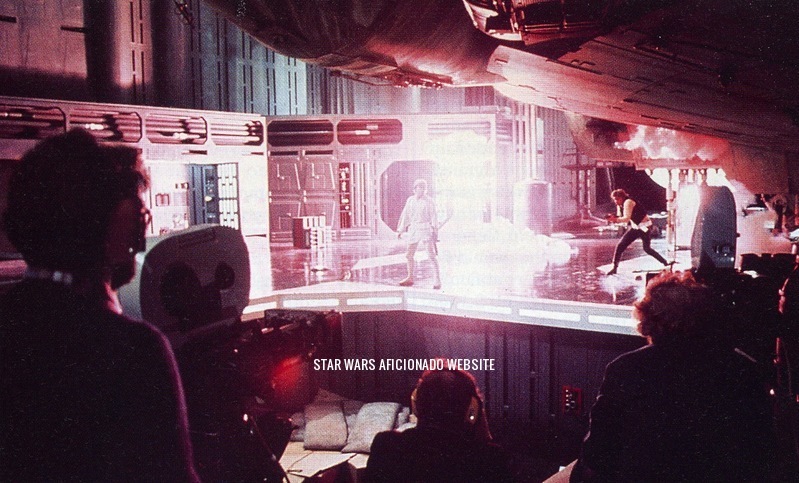 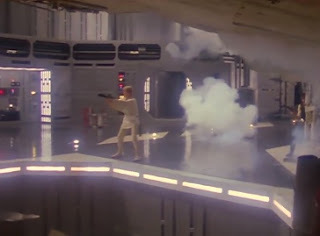 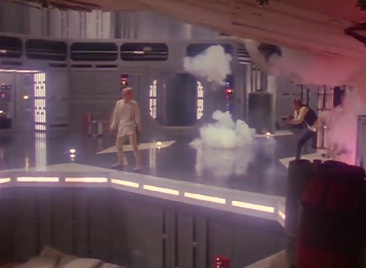 Note all the set and set decoration details, like the landing lights, plus the sacks laid at the bottom of the elevator shaft for one of the Stormtrooper stuntmen to soon fall on, and in case of any potential accidents on an always busy soundstage. As a side note, Mark Hamill was suffering from an inflamed right foot toe and prescribed medical treatment. 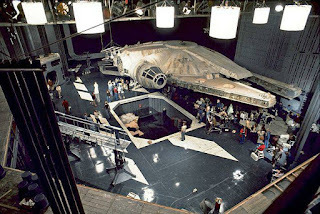 At the top of Elstree Studio stage 3. George Lucas and his camera crew film Luke's shock and fight back. 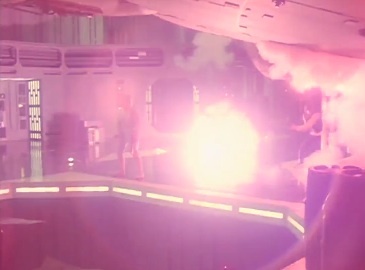 Below, some screenshots from the action filming covered by multiple cameras, within a studio day full of stunts and pyrotechnics. 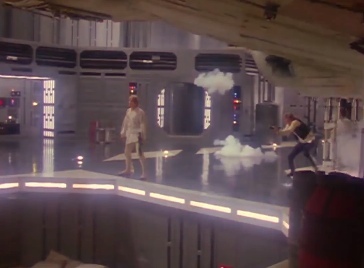 Presumably, this scene was also covered by more than one stills photographer. 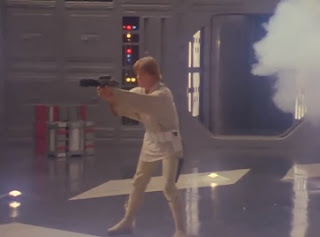 Behind the scenes footage capturing Luke's shocked reaction and fight back.